For this next spotlight, we got a chance to travel on-site and meet the brilliant team behind Schneider Electric’s active harmonic filters division in the quiet town of Salem, Oregon. This division develops solutions for active harmonic filtering in industrial installations. 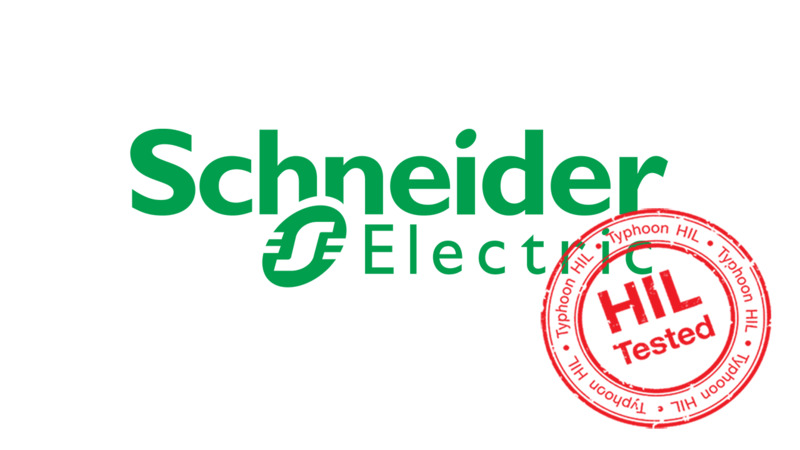 Nicolas LaRue, global offer manager for Schneider Electric’s AccuSine products, talks about how Hardware-in-the-Loop (HIL) technology gives his customers peace of mind. For the uninitiated, HIL is a model-based design and testing tool that simulates power electronics and power systems in real-time at ultra-high fidelity. It tests the actual controller which is directly interfaced with the model-based simulation. We also got to speak with Nanda Marwali, engineering manager, and John Batch, firmware engineer, on how Schneider used HIL to push the limits of their controller throughout the entire product lifecycle. 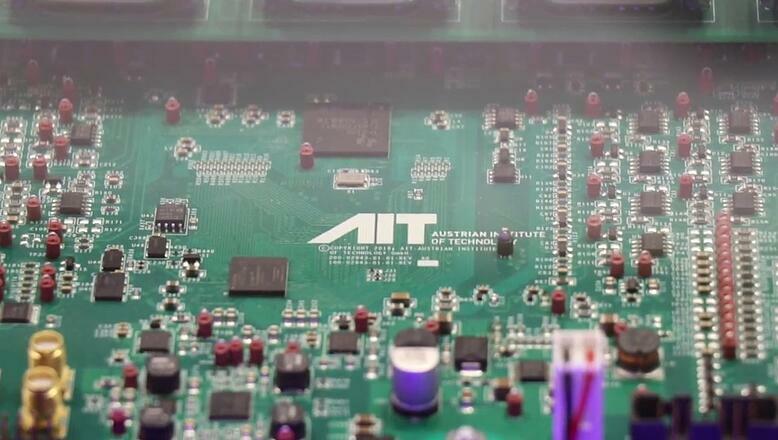 As Europe’s premiere research and technology organization, the Austrian Institute of Technology (AIT), bridges the gap between industry and research by utilizing innovative solutions to key infrastructure issues. Zoran Miletic, Senior Research Engineer and Power Electronics Design specialist at AIT, talks about how AIT developed its powerful pre-certification toolbox to design and test smart grid converters for grid code compliance using controller Hardware-in-the-Loop (C-HIL) technology. As the industrial revolution 4.0 is dawning on us, the digitalization of the utility grid and more broadly digitalization of our complete energy system is inevitable. While digitalization brings massive opportunities for value creation, it also brings significant challenges. Considering the cyber-physical nature of the future grid, where massive amounts of sensors, communications, embedded computing, embedded controllers, and cloud software will dominate the operation and performance, industry leaders are embracing new design, test, deployment and life cycle maintenance processes based on model based engineering and more specifically model based testing. Frequency regulation is currently provided by large individual resources, such as coal plants and gas turbines. There is growing interest for utilizing power flexibility of DERs in microgrids for providing frequency regulation. Researchers, funded by ARPA-E, from the University of California San Diego (UCSD) have developed a control framework for a microgrid that coordinates DERs for frequency regulation. Using a Controller Hardware-in-the-Loop simulation platform, EPC Power was able to integrate their control software with new hardware in just two days. Based in San Diego, CA, EPC Power designs and manufactures grid forming bi-directional inverters and DCDC converters for solar, wind, energy storage, automotive and microgrid applications. Ryan Smith, Chief Technology Officer (CTO) and chief controls architect, talks about his experience using Controller Hardware in the Loop (C-HIL) from the early conceptual stage, to final product certification and lifecycle maintenance. Today, most microgrids are controlled in a centralized fashion with standard master slave architecture. There is a central controller, which is the supervisory controller and is connected via point-to-point connection to every DER in the microgrid. 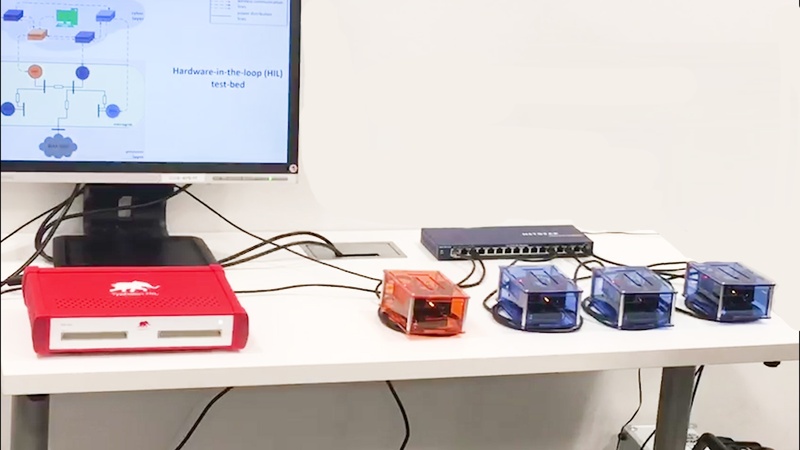 Researchers from the University of Illinois at Urbana Champaign (UIUC) funded by ARPA-E, have developed a completely distributed controller architecture. Instead of a central controller, multiple micro controllers or nodes communicate with its neighbors towards a consensus. Olaolu Ajala, a PhD student in power and energy systems at UIUC, shows how this distributed controller architecture works using a Hardware-in-the-Loop microgrid testbed. Resilience is a new way of dealing with the unknown. 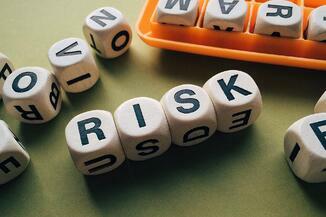 Modern society has come to believe that we can rise above risk by using historical data and design analyses to quantify probabilities and consequences, and calculating an acceptable gamble on targeted risk mitigation measures. Resilience basically is our capacity to survive and thrive in the face of change and uncertainty – accepting the fact that we cannot always predict the future. Resilience thinking challenges us to overcome limitations of traditional risk management methods by focusing on the outcomes that are important to us, such as health and welfare. An important difference is that we must come up with ways to enable our systems, communities, and businesses to deal with changing conditions or things that we might not have known in advance without falling apart - not only by protecting them from change, but by cultivating flexibility and a propensity to learn and adapt to changing conditions.